�Roberto Isotti and Alberto Cambone capture with great sensitivity the beauty, diversity and fragility of Pantanal wetlands. 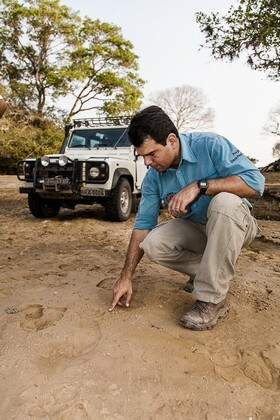 Their work is helping WWF-Brazil to conquer more Brazilian hearts to the duty of nature conservation on behalf of ourselves and of the next generations�. Denise Oliveira - WWF Brazil. Our photographers created a innovative photographic reportage which has allowed the spread of WWF Brazil conservation activities, for the future of this ecosystem of international value. 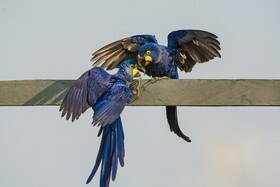 "This is the story of two species symbol of South American wildlife, so different but with the same charisma: the Hyacinth macaw and the Jaguar. 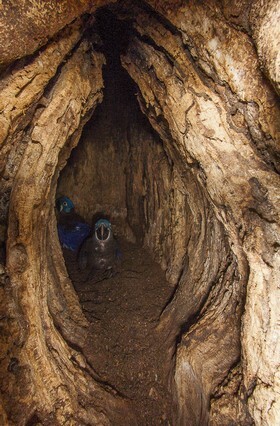 The story of conservation of Ara hyacinth (the largest of the parrots) is inextricably linked to that of Ximbuva: a majestic tree that couples of Ara choose to build the nests that will host their funny chicks. 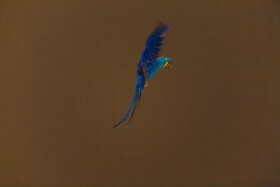 The gradual deforestation of large areas of land for the creation of pastures has led to the destruction of Ximbuva, and with it, to the dramatic decline of the population of the "blue parrot". 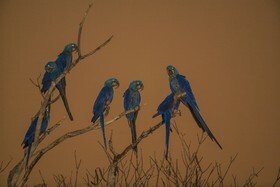 Tree and Parrots: united by a common decline, a decline that volunteers of the project Ara azul are trying tenaciously to stop. Thanks to these efforts the Ara population is slowly grown-up again (going from 1.5000 individuals in 1999 to the actual 5.000). There is another story, a similar one, which deserve to be told: the story of Jaguar. 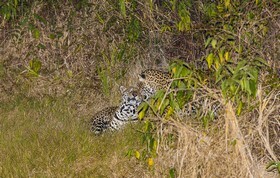 Emblem of strength and pride, Jaguar embodies, like no other, the essence of Pantanal. 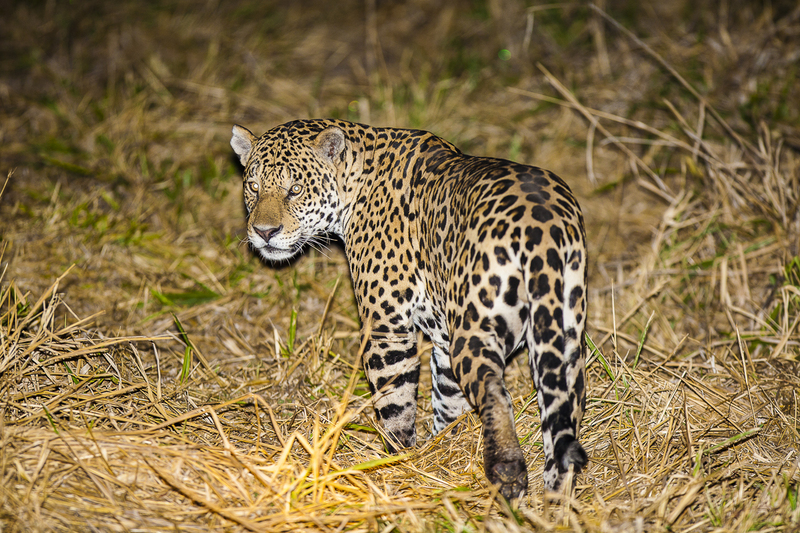 His elusiveness , his nocturnal habits, make Jaguar very difficult to see in the wild, only those who know the territory and ethology can still enjoy the thrill of a nocturnal encounter with the big cat. 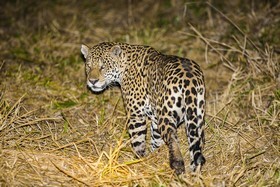 Even the survival of Jaguars is linked to the preservation of his habitat. 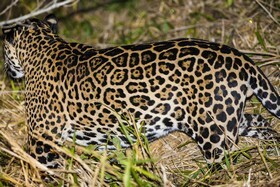 Jaguar, like other large predators, needs a large hunting area (up to 150 sq km). Fragmented habitats, undergoing a strong human pressure are not suitable to host this kind of animal. 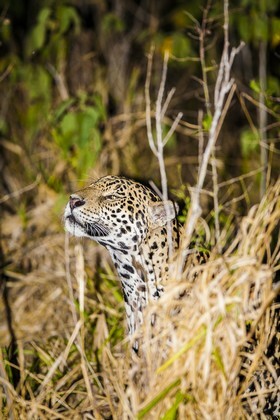 The challenge to save the Jaguar is extremely open and hard. 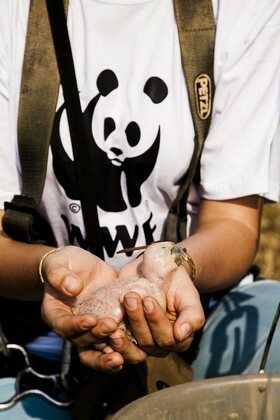 Win would ensure the rescue of the entire Pantanal according to the principle "save a species to save his world."